Abraham and Sarai are promised a son in their old age by the Lord. They cherish their miracle child, Isaac. When God commands Abraham to offer Isaac as a sacrifice to Him, Abraham must make the most difficult decision of his life. This story is one of the greatest tests of obedience, faith and trust in God found anywhere in the Bible. Abraham passes the test and renews faith in God's promise that he will become the father of many nations. 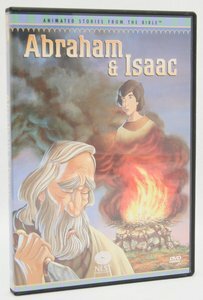 About "Abraham and Isaac (Animated Stories From The Ot Dvd Series)"